My hair usually takes so long to dry, that anything that cuts down that time is miraculous to me! Overall, the Inahsi Naturals line really blew me away. 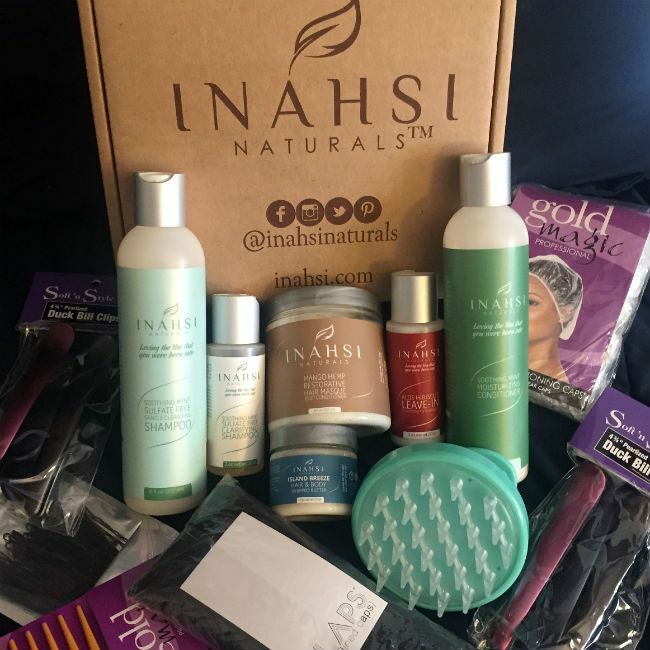 Inahsi Naturals is a cruelty-free line of hair products that does not contain parabens, silicones, sulfates, and other harmful ingredients, and was created especially for individuals with naturally curly hair of all types and textures. The line was founded by chemist and educator, Rhonda Marshall, after she started making recipes for chemical-free hair products in her home. Her recipes are full of excellent ingredients for optimal hair health and growth encouragement! I’ve been following the brand on Instagram for a while and was happy to play around with the line! Their site has some curated collections, making it easy to start off by finding products made for your desired goals. Originally I started off with the Healthy Hair Collection designed for hair growth and then received the rest of the line. Something else I noticed with this line is that the more Inahsi products I used combined for a wash day, the lighter my hair felt overall, and the quicker it would dry. My hair usually takes so long to dry that anything that cuts down that time is miraculous to me! All three of the Soothing Mint products below have the same, delicious chocolatey-mint scent to them. I also noticed these three products feel cooling and tingling on my scalp, which I believe is thanks to peppermint oil, a key ingredient. 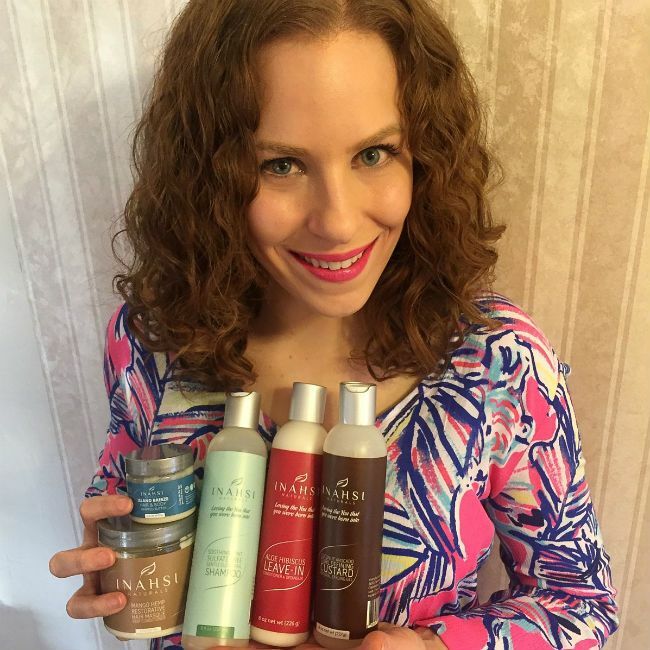 "From styling products to butters our hair can experience product build-up. This can lead to dry, brittle hair which leads to breakage. This sulfate-free clarifying shampoo will remove excessive product build up from natural and silicone-based products. The cooling sensation of mint will invigorate the senses while stimulating the scalp to promote overall healthy hair." This clarifying shampoo lathered well and left my hair feeling squeaky clean, but not stiff. I absolutely had to follow-up with something very moisturizing; my hair let me know it, too. I like that this is sulfate-free but still can remove silicones from products I wind up trying out for other product reviews. Admittedly, I would not use this shampoo too often--maybe once a month, at most. I like this shampoo a lot because it cleaned my hair and detangled it. When I was rinsing it I felt my fingers glide through my length so easily. This isn’t something I’m used to with an actual shampoo and not a co-wash. My hair felt soft from a shampoo! It did a nice job of removing days of product and work out sweat; I also like that there are hair growth essential oils such as peppermint, rosemary and lavender inside, too! This shampoo is awesome. I like that this conditioner is on the richer side since I usually prefer masques and heavier conditioners for my high porosity, forever dry hair. I reached out to Inahsi Naturals and they said this can also be used as a leave-in. I used it a few times so far both as a rinse out and leave in. As a rinse out, it properly conditions my hair without weighing it down. As a leave-in, it did a nice job to moisturize my hair and prime it for the styling products I used on top. It played well with products from different brands as well, without clumping or balling up. The slip was fantastic. If you still had any tangles left after the Soothing Mint Shampoo, this Conditioner will annihilate them. If you still had any tangles left after the Soothing Mint Shampoo, this Conditioner will annihilate them. This Deep Conditioner is so good...so good! It has even earned a spot on my Holy Grail Deep Conditioner list. The scent is fruity and a bit strong, but it is from natural fragrances and didn’t bother my allergies. This deep conditioner is rich but spreads easily, so a little goes a long way. My hair drinks it up as it removes any tangles at lightning fast speed. I love the hair growth ingredients in here such as nettle and horsetail. This deep conditioner hydrates, moisturizes and strengthens my hair all at once, and really does an excellent job at helping to tackle frizz and de-pouf my hair. What a great leave-in; it is moisturizing and does a great job on my wavy hair whether it is wet or dry. This smells similar to, but not exactly like the deep conditioner. Oftentimes a lot of leave-ins are too lightweight for me to use on wet hair, but this one passes that test. Like the Soothing Mint Conditioner, it plays nicely with other Inahsi products as well as other brands. Besides being effective on my wet hair, it does a lovely job adding moisture and bounce back into days old hair, too. The scent of this product is addicting: very island-esque, with citrus and slight hints of coconut. With this product, less is definitely more. A few times I was too heavy-handed and my hair looked too 'product-y' which tends to happen to me when using butters. Once I figured out the right amount for my hair, this stuff helped decrease frizz and increase manageability of my hair, while leaving it super soft and shiny. I like to use this on dry hair to add shine and fight frizz, or on wet hair in place of an oil to seal in my leave-in and styler. I let it warm up to an oil-like consistency before using it on wet hair. I actually started carrying this in my purse for touch ups throughout the day in case I get caught in wind or rain. The texture of this is quite unique. Not quite a gel, not a cream and also not a jelly. It’s not super thick, but not runny and thin either. What it is though, is wonderful. It has a clean scent to it. I am usually not crazy about lighter hold gels, but I really like this one because it gave me nice, touchable definition while de-poufing my waves. It is not crunchy, either. My hair did dry with a stiffer gel cast, but it easily scrunched out and soft, shiny waves emerged from underneath. I used this when washing my hair at night, which usually leads to disaster in the mornings. However, this time, I woke up with lovely, defined curls, and I think that was because of the stiff gel cast that protected my hair in my sleep. I have also used this on days-old hair and paired with the Hair Whip, they did a lovely job. 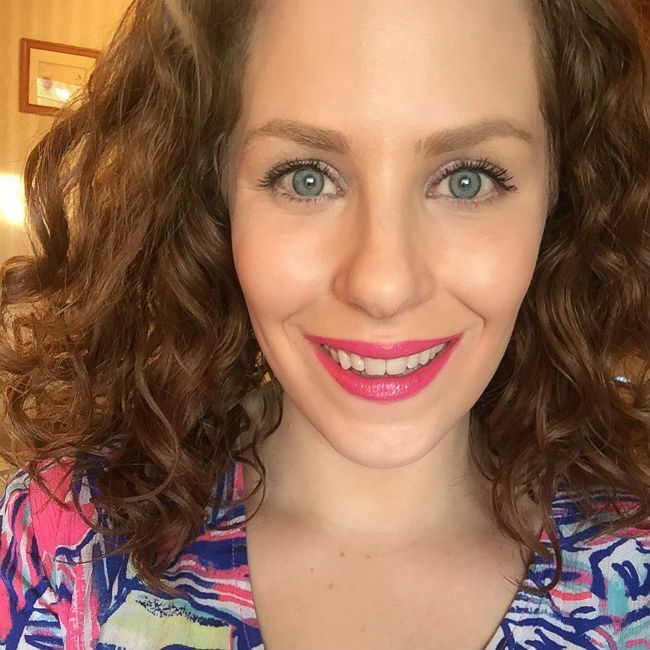 This coconut drink-scented cream works well on days old hair as a stand alone product to keep any frizziness and poofiness at bay, as well as re-moisturize and add bounce back to my curls. I also used it a few times on wet hair in place of my leave-in under a gel and oil. It is quite rich, and again, less is more. I learned that of course by overdoing it the first time. (Side note: will I ever learn? Probably not). For high porosity, naturally dry hair, it does make a nice leave-in. I also like that using it as a leave-in seemed to tame my curls and prevent undesirable volume. This is a fruity pineapple-scented co-wash that is fantastic! It truly did a good job of cleansing, moisturizing, and detangling for me. It helps keep my hair soft, as well as clean. I can actually use this with a regular conditioner (not a masque) afterwards, and my hair feels properly hydrated and very soft! Overall, the Inahsi Naturals line really blew me away! I’ve been playing with this line for over a month now, alone and also mixed with other brands, and have really liked the results. I want to call out that a lot of the Inahsi products contain hyaluronic acid, which is a popular ingredient for skincare, although we do not see it often in hair products. But did you know that it helps to moisturize, add fullness and plumpness to hair? I think it is quite unique and great that the brand includes it. 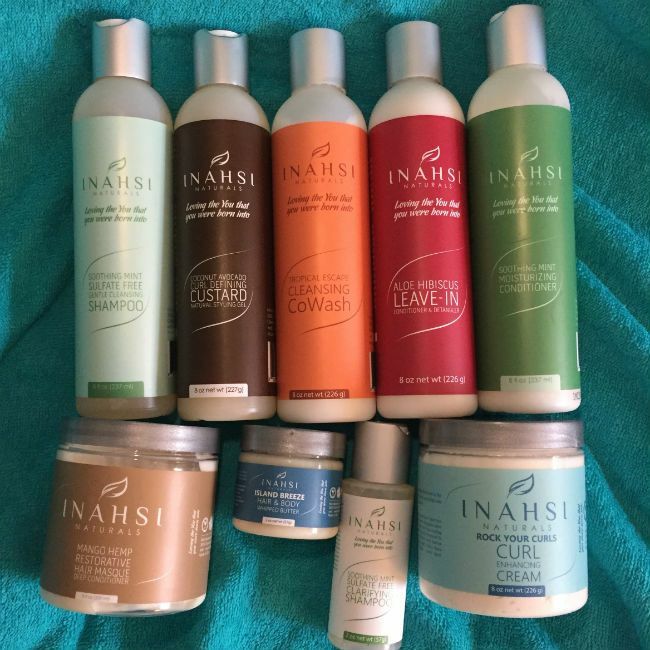 Have you tried any of the Inahsi Naturals products yet? Tell us your review below or on Facebook.